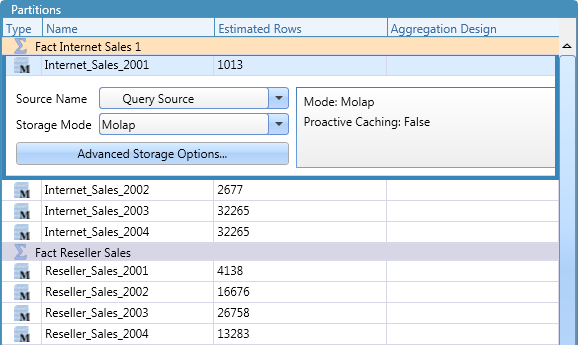 Use the Partitions editor to create and modify partitions, including storage and proactive caching settings, for each cube measure group. Enter a partition's name, estimated rows count, and associated aggregation design in the partition's data grid row. 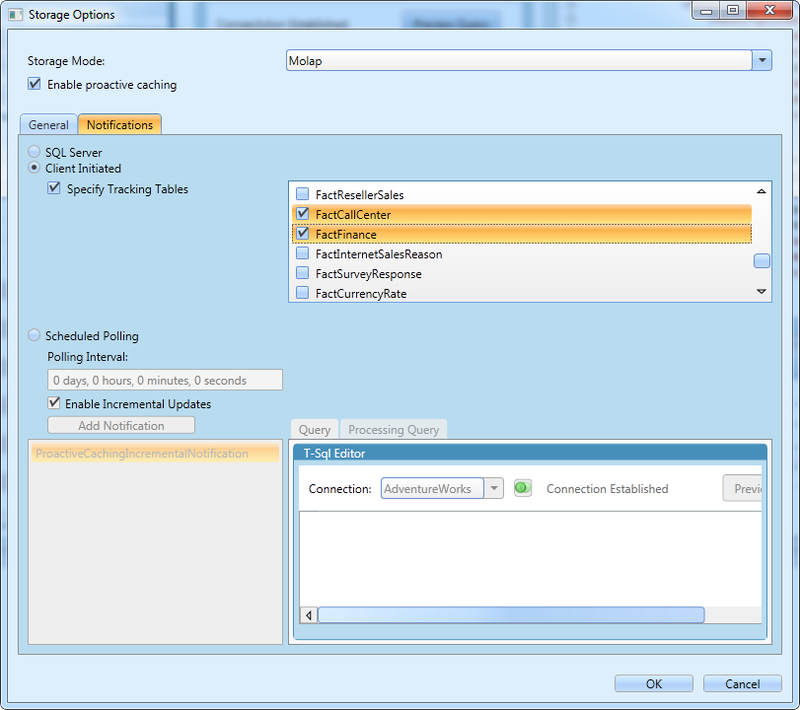 Select a partition source (table name or query) and storage mode in the row's details area. 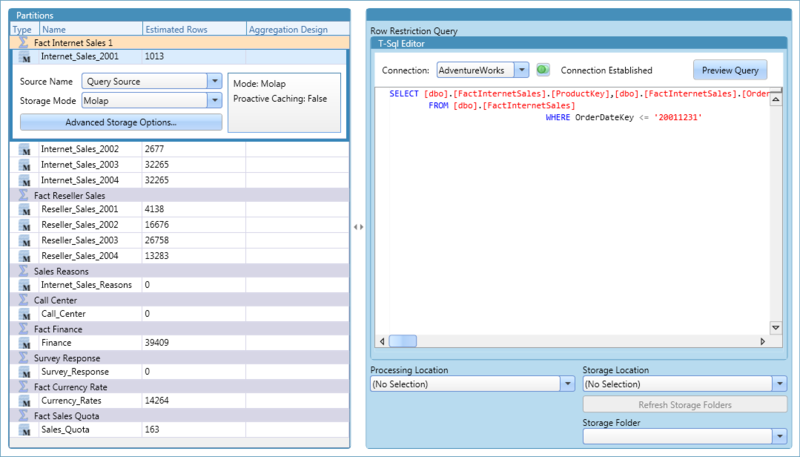 When using a query binding source, enter the query in the T-SQL Editor. 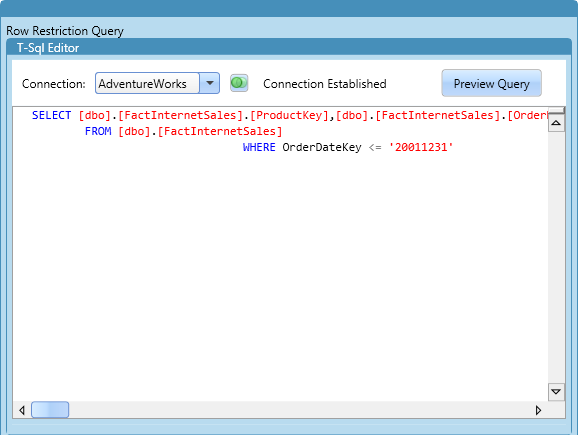 Use the Preview Query button to see the query's result. 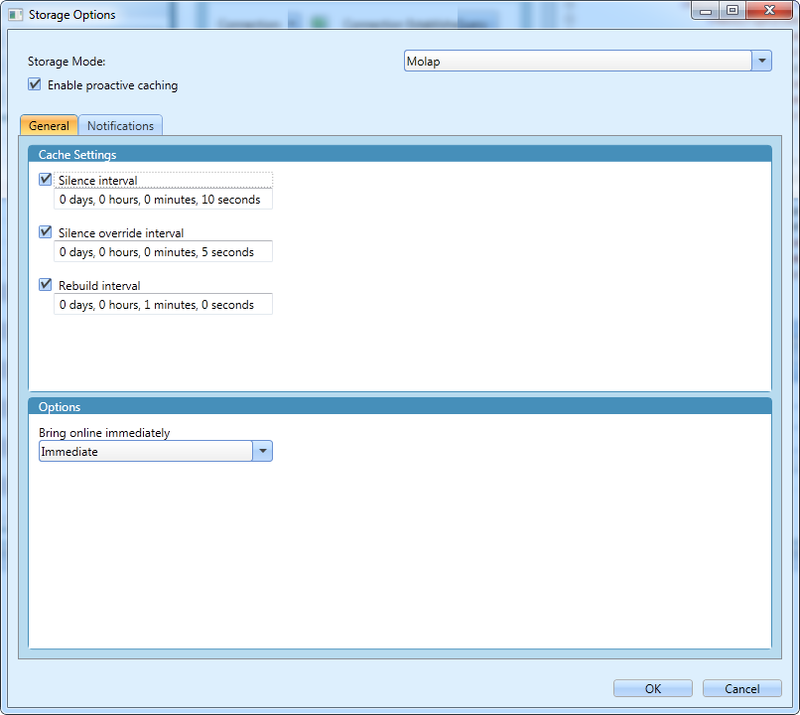 Click on Advanced Storage Options... to open the Storage Options dialog and specify storage mode, proactive caching, cache settings, tracking tables, and incremental updates for the selected partition. Partition Add a partition to a selected measure group. Generate Default Partitions Add a partition to each cube measure group lacking a partition.